Wakestone was the home of Josephus Daniels, editor of the Raleigh News & Observer (1894-1933); Secretary of the Navy (1913-21) under President Woodrow Wilson; and Ambassador to Mexico (1933-41) under President Franklin D. Roosevelt. 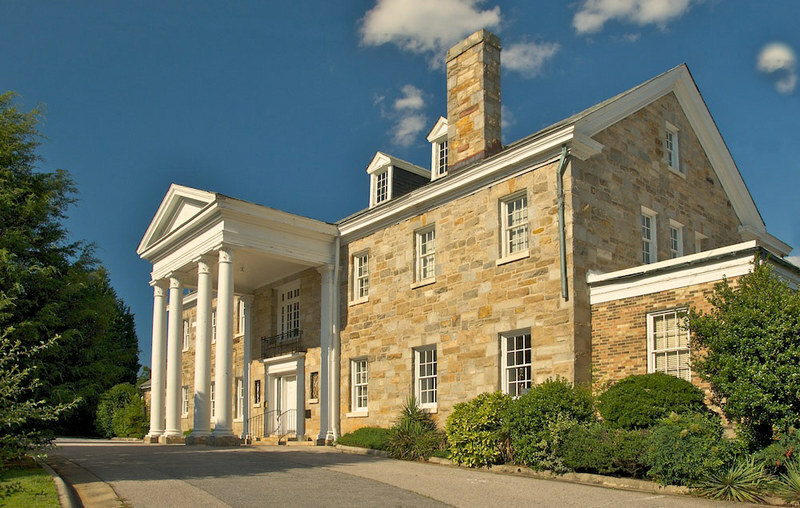 The house was built in the Neoclassical style and constructed of Wake County quarry stones. 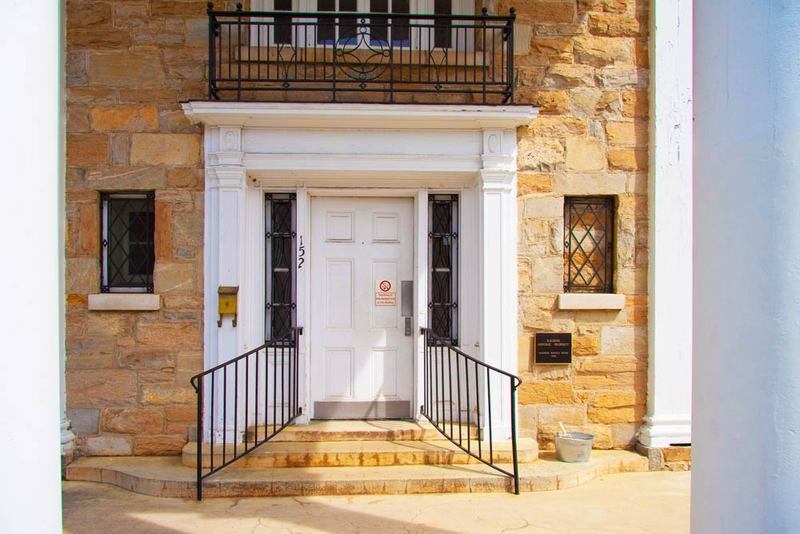 This National Historic Landmark has been home to the Masonic Temple of Raleigh since 1950. Josephus Daniels House, 2010: Image courtesy of D. Strevel, Capital City Camera Club. Josephus Daniels House, 2010: Image courtesy of A. Neifeld, Capital City Camera Club. Josephus Daniels House, 2010: Entry. Image courtesy of A. Neifeld, Capital City Camera Club. 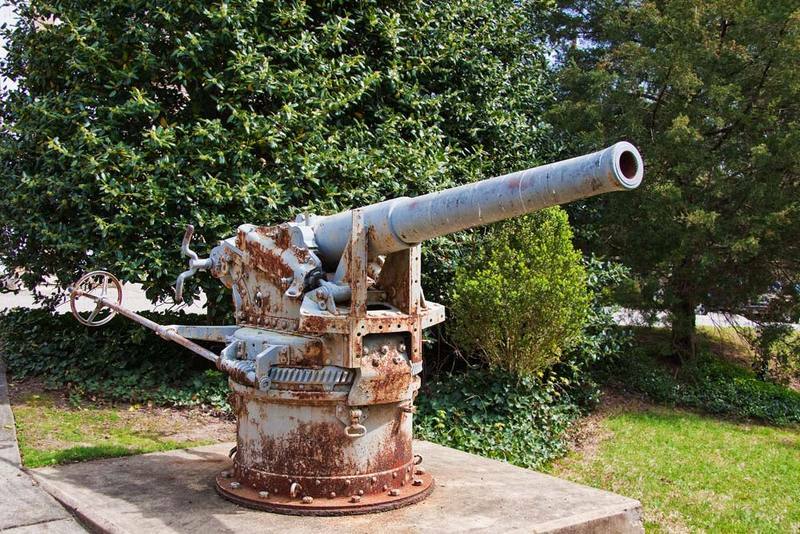 Josephus Daniels House, 2010: Cannon. Image courtesy of A. Neifeld, Capital City Camera Club. 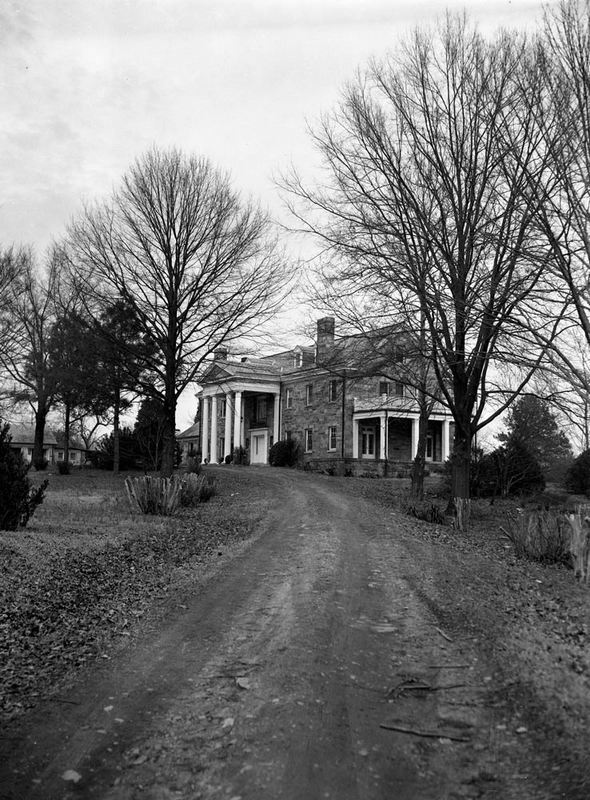 Josephus Daniels House (Wakestone), 1966: Image courtesy of the North Carolina State Archives. RHDC, “Josephus Daniels House (Wakestone),” Raleigh Historic, accessed April 20, 2019, https://raleighhistoric.org/items/show/122.